Join us for a delicious Easter breakfast featuring fresh seasonal fruit, croissants, mini waffles, biscuits and sausage gravy, brunch egg casserole, maple ham slices, mini desserts, juice, water, coffee, tea and hot chocolate. There is no charge for the breakfast, but donation baskets will be out to help cover the cost. 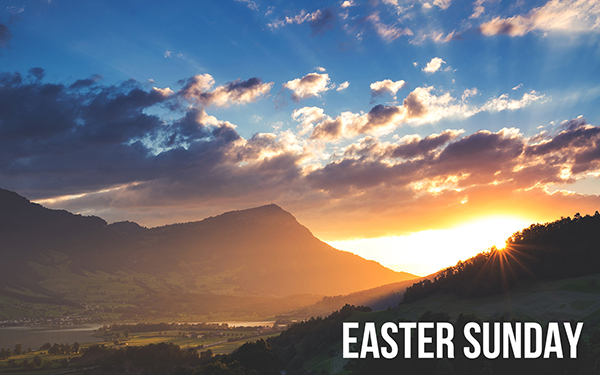 Please note, there will be no 9:00 a.m. adult Sunday school classes or children’s programs on Easter Sunday. There will be nursery and children’s programs at 10:00 a.m.